It’s no secret that radical change has been sweeping the nation, particularly in relation to cannabis. Over the last decade, 26 states have legalized medical cannabis, and four have legalized recreational use over the last few years. With this legislative change comes the lifting of stigmas, the changing of perceptions. Shifts in branding have inevitably followed. Establishments like Harborside, the nation’s biggest cannabis dispensary, have revamped their look to reflect this scaled-up aesthetic. 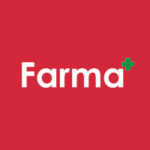 SF Gate has written a piece on this rebranding phenomenon, in which they kindly refer to Farma as a “landmark” dispensary in this new era of upscale cannabis boutiques.